Is toy storage a drama in your home? Discover the Play & Go Colour My Bag toy storage bag! We all know that feeling: toys under the bed, on the floor, in the dog's basket - but you still can't find that favourite piece of LEGO. The Play&Go bag is a simple and effective solution to toy storage, and it's lots of fun. 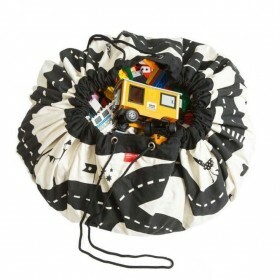 A 2 in 1 toy storage bag that doubles as a play mat is every child's dream. Is toy storage a drama in your home? Discover the Play & Go Colour My Bag toy storage bag! We all know that feeling: toys under the bed, on the floor, in the dog's basket - but you still can't find that favourite piece of LEGO®, Playmobil® or Duplo®. The Play&Go bag is a simple and effective solution to toy storage, and it's lots of fun. A 2 in 1 toy storage bag that doubles as a play mat is every child's dream. Even lego storage is simple, and dolls, cars, balls and blocks can all be swiftly cleared away with one swing. 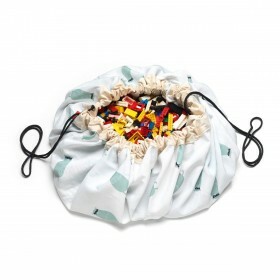 It's portable, hard wearing design also makes it the perfect lego storage sack for the beach, the park, holidays or trips to visit grandparents. Observações: Washable at 30ºC. With three felt pens included. A sweet, high-quality, strong and cute backpack with a bunny look. It’s so versatile with its hand straps and is ideal for nursery, school or a sleepover at their grandparents’ house or friends. Just the right size for smaller children. 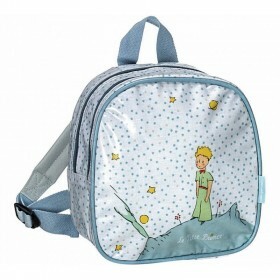 This backpack make a perfect gift for birthdays! Durable and modern design multi-purpose clips. The package contains 2 pcs. Elegant and soft muslim swaddle, printed with little gold clovers. Made from 50% bamboo and 50% cotton. The perfect size for keeping your little one snug as a bug. Meow! This lovely pink backpack with all over cat print is a real eye catcher. Use the bag for school or a sleepover party; the large compartment and two convenient pockets on each side fit everything your little one needs. And the extra clasp across the chest helps keep the adjustable shoulder straps in place. Your little one is ready to go! Elegant and soft muslim swaddle, with a versatile design that's great for swaddling, nursing, cuddling. 100% rayon muslin made from bamboo, lightweight and breathable. The perfect size for keeping your little one snug as a bug.